If you own a pair of working ear drums, chances are you've heard Wally Wingert's voice. I could devote an separate blog to the guy's career, which has seen him lending his voice to such characters as Doctor Strange, The Riddler, Ant-Man, Jon Arbuckle, George Jetson ... well, you get the idea. Just take a look at his credits over at IMDB. 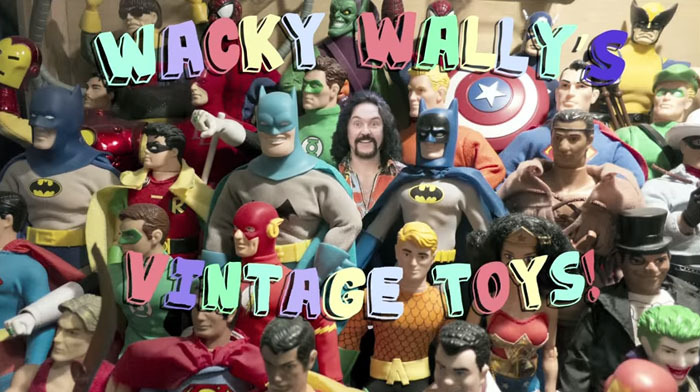 He's also got a new website series called "Wacky Wally's Vintage Toys." The first episode is now live and dwells mostly on Iron-Man and the Avengers. If you keep your eyes peeled, though, you'll spot some of Wally's DARK SHADOWS collectibles on display in his home. Given that this year is also the 50th anniversary of the series, I'd be surprised if he doesn't devote a future installment to DARK SHADOWS toys. You can watch the first episode below.